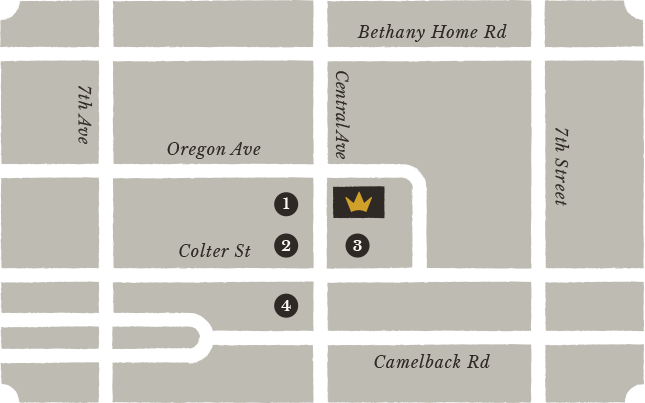 Tucked into its namesake historic Phoenix neighborhood, Windsor is a neighborhood bar and restaurant with a backyard-style patio packed full of your best friends. High-quality wine and beer on tap, a robust selection of prohibition cocktails and a kitchen that cranks out casual and familiar bar food with an upscale twist. Come on down and enjoy the neighborhood. We hope you'll feel at home at Windsor. But if you truly would rather just veg out on the couch at home, we can hook that up too. Just give us a call and then roll up to our door. Dine in or dine at home...it's all good with us! Our entire menu is available for to-go orders. Oh yes. You can enjoy a Crab Cake BLT, or our New Orleans Style Pork Ribs from inside your house. You’re very welcome. Give us a call to place your order, and we'll get right to work. Pick-up is quick and convenient. We'll get you back on the couch and in front of the TV in no time.